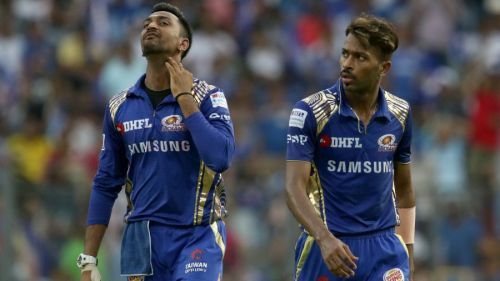 The destructive all-rounder duo from Mumbai Indians. With the double-header two days ago in Delhi and Pune, the league stage of IPL 2018 came to a heartbreaking end for the fans of Kings XI Punjab and Mumbai Indians. We now have our four deserving teams in the playoffs, with SRH taking on CSK in Qualifier 1 & KKR and RR fighting for a spot in Qualifier 2 in the Eliminator. This league stage was arguably the most tightly fought season in the history, with 5 teams in contention on a place in playoffs till the penultimate day. Records were broken, new stars emerged from the shadows of established players, and once again, it was the all-rounders that ended up being the show stealers. While perennial IPL stars like Rohit Sharma, Ravindra Jadeja, and Amit Mishra ended up having lukewarm seasons, there were some who were in the form of their life in this season of IPL. With the playoffs starting tomorrow, here is a playing XI of the best Indian player from IPL 2018. Ready for India's limited overs side. Where was this KL Rahul in the 4 years that have passed since his debut? 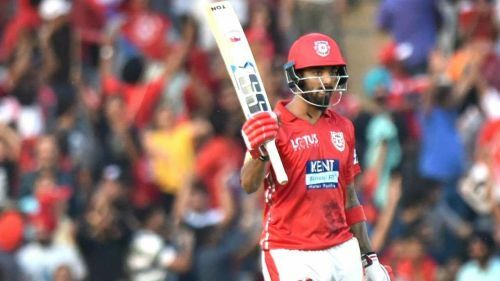 The way he played in all the league matches for the Kings XI Punjab was his way of telling the selectors that he is now ready to represent India in all formats of the game. His aggressive batting at the top of the order was only matched by his brilliant ability to hold an end while steadily building the inning. So good was Rahul in the 14 matches that he played as KXIP opener that the sum total of 2nd and 3rd highest run scorer for the franchise just manage to eclipse his total by 10 runs. He started the season with the fastest 50 in IPL history and ended the season with 5 other 50+ scores to his name. With a total of 659 runs at a strike rate of almost 160 and average of almost 55, Rahul was easily the best Indian opener in this IPL. Just phenomenal at the top of the order. There is definitely something with Chennai Super Kings. It doesn't matter if the player is out of form or playing in the big man's league for the first time. If he is playing for the Chennai Super Kings, there is a very big chance that he will catch the eye of both the selectors and the cricketing fans. 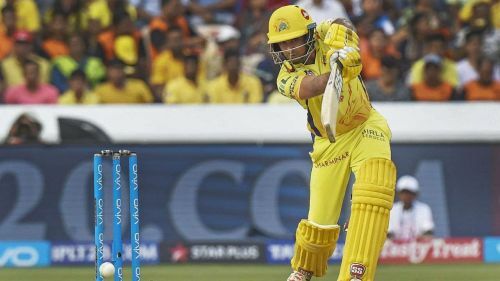 This season, it was the turn of Ambati Rayudu and Shane Watson, both of whom played arguably their best game in years. Ambati Rayudu, in particular, was just spectacular in his new role as the swashbuckling opener of the team. Playing for a franchise not based in Mumbai for the first time, the seasoned veteran gathered 586 runs in the 14 matches he played in the league stage. His strike rate of over 150, an average of 45.07 and, of course, that memorable 100 was enough to earn him a well-deserved place in the Indian Limited Overs' side. IPL: All time Captain's XI.